Getting a cash advance is not generally anyone’s Plan A. If you find yourself coming up short one month, you might need cash in a hurry. While a credit card cash advance is probably not the best way to bridge that gap, if you have already gotten one or are considering it for the future, it’s good to understand it. Credit card cash advances usually come with fees and high interest payments. Let us explain. If you read the terms of your credit card carefully, you’ll notice a separate, smaller limit listed along with your credit limit. That smaller limit is your cash advance limit and it’s usually only a few hundred dollars. It exists to allow (some would say tempt) you to use your credit card as a way to get cash in an emergency, when charging an expense is not an option. Withdrawing cash with your credit card isn’t the same as taking out cash with your debit card. With a debit card, you withdraw money you already have in your checking account (unless you overdraw your account). You don’t incur any interest charges because you’re not taking out a loan. You’re accessing money that’s yours to spend. The only fees you might have to pay are ATM fees (or overdraft fees if you took out more than you had in there). Getting cash from a credit card cash advance is different. When you withdraw cash using a credit card, you’re taking a cash advance loan. You can use your credit card at an ATM or go to a bank to claim your cash advance loan. The bad news? That loan comes with interest and fees. Yes, you’ll have to pay for the privilege of taking out cash with your credit card. Your cash advance is a short-term loan and loans can be expensive. It’s perfectly possible to use a credit card without incurring any costs. If you choose a credit card with no annual fee and you always pay the bill on time, you won’t owe money to the bank. You’re beating the system and saving money in the process. You can build up your credit score without taking on long-term debt. The money you save on interest is money you can plan for retirement or use for a down payment on a home. However, not everyone follows this strategy, either by choice or by necessity. If you don’t make your monthly payment you’ll owe interest on the money you’ve charged. 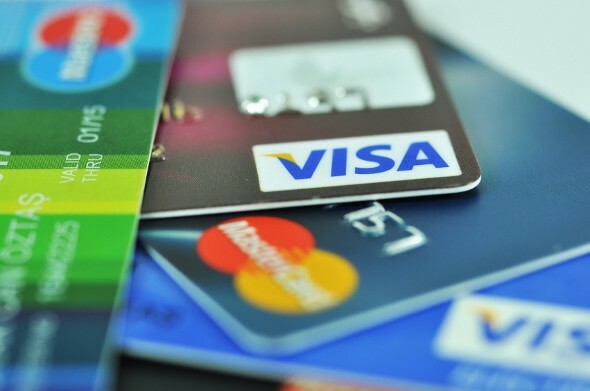 Interest rates on credit cards are high enough (the average is around 13%) that credit card debt can easily spiral out of control and lower your credit score. That’s why it’s always best to pay your bill in full every month. Another tip? Don’t spend money you don’t have on things that aren’t necessities. The vast majority of credit card users charge purchases and then pay the bill when they can. The credit card cash advance is a much less commonly used feature of the credit card. Here’s something a lot of folks don’t realize when they use their credit card to get cash: If you take a credit card cash advance, you’ll pay interest rates on that loan that are generally higher than the APR on your credit card. Plus, you’ll start racking up interest as soon as you get the cash. That’s right. Unlike charges on your credit card, the money you take in a cash advance loan starts costing you right away. You don’t have until the end of the month to come up with the money to pay back your loan. There’s no grace period. Your loan starts earning interest as soon as you have the cash in hand. Add the 3-5% fee on cash advance loans and you’re looking at one expensive way to get money. Your $300 cash advance can quickly multiply, leaving you with thousands in debt. Their high interest rates and fees mean that cash advance loans are generally best thought of as a last resort. If you’re tempted to pop to the ATM for a credit card cash advance just because you want to buy something at a place that doesn’t take cards and you forgot your debit card, it’s probably time to think again. Worse still is using a cash advance to gamble at a casino, something the gambling industry has made increasingly easy. If it’s not an emergency then it’s probably not worth taking the cash advance. But, emergencies happen. Coming up short and finding yourself in dire need of cash is a fact of life for many Americans. A credit card cash advance isn’t your only option, though. If you can borrow money from friends or family, you can avoid the high interest rates and fees associated with credit card cash advances, payday loans and other forms of lending to the cash-strapped. Update: Have more financial questions? SmartAsset can help. So many people reached out to us looking for tax and long-term financial planning help, we started our own matching service to help you find a financial advisor. The SmartAdvisor matching tool can help you find a person to work with to meet your needs. First you’ll answer a series of questions about your situation and goals. Then the program will narrow down your options from thousands of advisors to three fiduciaries who suit your needs. You can then read their profiles to learn more about them, interview them on the phone or in person and choose who to work with in the future. This allows you to find a good fit while the program does much of the hard work for you.